Hey Beauties! We made it to Friday, YAY! What do you all have planned this weekend? Doing anything exciting? I am planning on catching up on some school work and enjoying the beautiful weather that this weekend will bring to New York. I have had enough of the cold and I am glad that I am starting to feel the relaxing warmth again. I won the lovely makeupjunkie's Tarte mascara giveaway contest! My prize was Tarte's multiplEye mascara. I was so happy to find out that I was the winner and that I could try this mascara out for myself. Thank You girl! Go check out her blog here. She is amazing! I can't really base this review on all the 3 steps used together because I don't own the first two steps. I am only going to be reviewing the mascara (step 3). Side View: Look at that length, darkness, and volume baby! The packaging of the mascara is really pretty to look at. So different that other mascara packaging which tends to be plastic. This one is more sturdy. I love that the formula of this mascara is very smooth, and not gunky or clumpy at all. 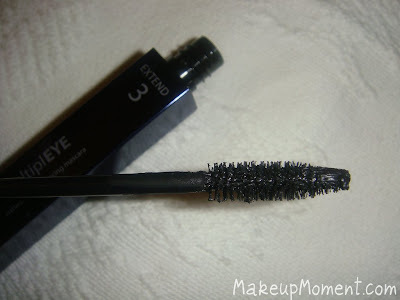 The mascara brush is a great size that I am sure many people can be comfortable using it, and I love that I can comfortably reach the inner corners of my lashes without worrying weather or not I am going to poke my eye out LOL! Even though this products claims that it is fragrance free, I do detect a bit of an odd smell. My guess would be the alcohol which is listed in the ingredients. The smell is not too strong so it does not bother me much, and you definitely can not smell it when it's on your lashes. 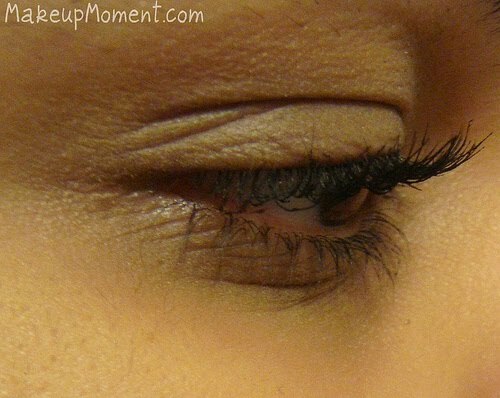 I must say this mascara truly impressed me and I will be purchasing this mascara when I am done with this one. 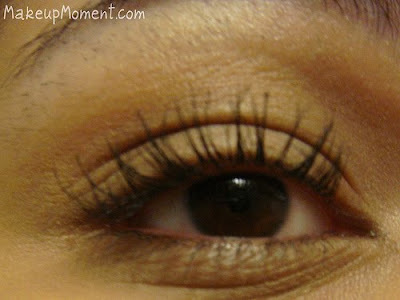 My HG mascara is Cover Girl Lash Blast, but Tarte's multiplEye has the potential to knock Cover Girl Lash Blast to 2nd place. It is that good! 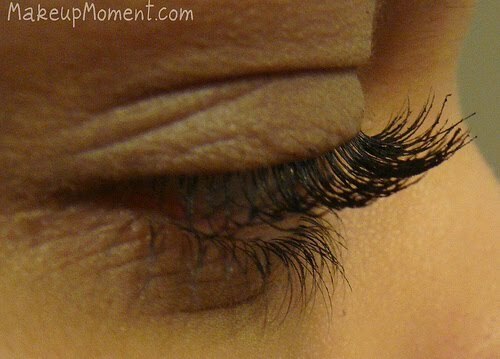 It truly lengthened my lashes like a mo'fo! 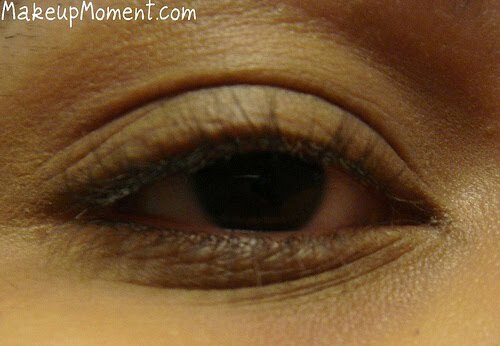 I saw volume and my lashes were really flirty, pretty, and dark. The best part is that I got absolutely no clumping! When it comes to how many coats are applied, two usually do it for me. I am pretty sure if you do more than 2 coats it can start to look clumpy. Oh, let's not forget to mention that this mascara lasted all day on me with no smudges or flakes in sight to give me raccoon eyes. As for the removal factor, multiplEye is very easy to remove for me, no struggles at all. Love! 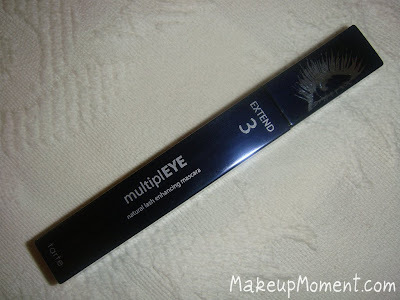 I definitely recommend this mascara for those who want super length and volume with no clumps. 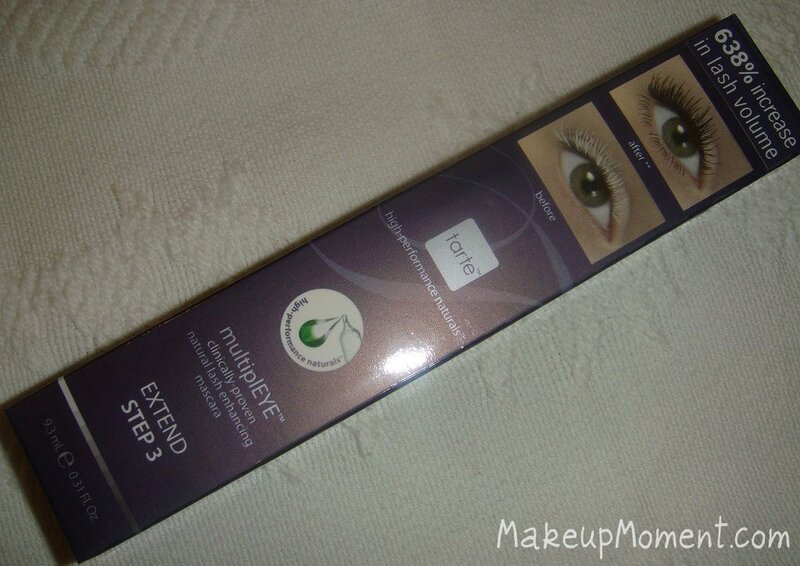 I am so happy that I got the opportunity to try this mascara out, and I can officially say right here on this blog that Tarte multiplEye is added to the list of my HG mascara category. Cover Girl being my HG drugstore mascara, and the one from Tarte being my HG department store mascara. Thanks for stopping by and have a fabulous Friday Dolls!